A Videotaped Trauma Treatment Conducted by Stuart D. Perlman, Ph.D.
You are welcome to download this video and distribute it. Usually when discussing psychotherapy we use summaries written by the therapist. In contrast, I am presenting here a video of an actual trauma treatment dyad. The director of a documentary on trauma, whom I did not know, approached me to do a one-time double therapy session for him for his documentary. He received my name as a specialist in the area who might be a good model for showing trauma treatment in action. He also wanted to ascertain if psychotherapy would be effective for him. This man had never had therapy before, yet had experienced life-threatening trauma as well as a very difficult childhood. Seeing how this session unfolds, with the responses of both patient and therapist, communicates my own style of trauma treatment better than any abstract description. The interview illustrates the development of rapport and joining with the patient. It shows my acting as a caring facilitator in the exploration, reliving, and articulation of his trauma history. We delve into a number of his experiences, highlighting how he was able to utilize and expand on the interpretations and insight I was able to offer. Because this is a documentary and a demonstration video, I also explain the process to him and present an overview of trauma and its dynamics. It is my hope that this video will bring forth a good discussion of psychotherapy and trauma therapy. The director/patient set up this video such as not to be seen on screen. At the end of the video is a list of some of my publications. 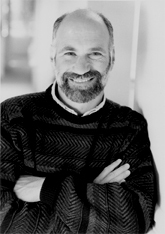 Stuart D. Perlman, Ph.D., is a clinical psychologist and psychoanalyst in private practice in West Los Angeles, and a training and supervising analyst at the Institute of Contemporary Psychoanalysis in Los Angeles. Dr. Perlman received his first Ph.D. from UCLA in Clinical Psychology and his second Ph.D. from the Southern California Psychoanalytic Institute, and has been a faculty member at both. He has published numerous articles in psychology and psychoanalytic journals on topics such as: trauma, sexual abuse, sexual satisfaction in couples, countertransference, and supervision. His book, The Therapist’s Emotional Survival: Dealing With The Pain Of Exploring Trauma, was a Psychotherapy Book Club Main Selection. Hear Stuart D. Perlman, Ph.D. being interviewed about his book, The Therapist’s Emotional Survival: Dealing with the Pain of Exploring Trauma, on the program “Shrink Rap” on KCSN, 88.5 FM, aired on August 5, 2008.
by Stuart D. Perlman, Ph.D.
As an undergraduate, I was introduced to behavioral perspectives. These perspectives view people as being motivated by the rewards and reinforcements in their environment. (1) Although this is an aspect of human behavior, to emphasize it as the central one seems simplistic because so much else is going on and it does not closely fit the patient’s experience. – Be there, be a full presence. – Don’t panic in the face of psychopathology (I would say human pain). – Hold out a positive vision of hope and growth that can result from psychotherapy. At the same time in graduate school, my adviser and head of the research project on which I worked was attempting a psychoanalytic understanding of family systems and the etiology of schizophrenia. In this research group on the interaction patterns in families at high-risk, I was introduced to family systems and psychoanalytic ideas. The overriding concept of family systems(3) is that each person is only a part of the larger system that controls and regulates each other’s behavior. Therefore the whole family system needs to be assessed and dealt with to help the individual. In contrast, psychoanalysis emphasizes childhood experience and biological motivations within the person as the formative experience and key determinants of current behavior and personality. In psychoanalytic thought the individual carries all the beliefs and experiences that need to be worked with to help and implement change. (4) These tendencies and abilities will be expressed in the transference to the analyst, which is where the analyst needs to focus. Both during and after my clinical training, I combined behavioral, humanistic, family systems, and psychoanalytic thought. Both humanistic psychology and contemporary psychoanalytic thought emphasize the centrality of the human connection. In behavioral and family systems context is central. Both the human connection and context are crucial to the work I do and the conceptualization I use. From my clinical experience, however, other factors came to the foreground. During and after graduate school I worked in a Veteran’s Administration Hospital and in community and county clinics, and these experiences influenced my basic assumptions of how pathology develops. In these settings I saw massive amounts of real-life trauma. I have come to believe that trauma is common and prevalent in our society and throughout the world. I have come to believe that it is hard for a person to go through a life without being touched by trauma at some point. I saw that child abuse and trauma have pervasive and formative effects on human development. (5) The traumatized person, their families, and society often avoid acknowledging these effects because they are painful. I learned that to help patients face their traumas, therapists may be required to acknowledge their own traumatic experiences and pain, as well as the pain they themselves may have inflicted on others. One of my central beliefs is that the earlier and more severe the trauma, the greater the demand to forget, the less the emotional support for the victim, and thus the greater the likelihood that the trauma will be dissociated and split off into the body. (6) Early trauma is primarily encoded in kinesthetic/body memories. These early experiences predate the stable use of language; their access through the use of verbal therapies is limited. These early memories, as well as overwhelming traumatic memories that occur at an older age, are dissociated so that they are experienced as automatic, procedural (body) memory, and are not integrated into the narrative of the victim’s experience. The body, as a result, is often an important source or opening into these traumatic experiences, whereas a focus on words in psychotherapy may not reveal the existence of these experiences. My belief in a relational model of motivation was reemphasized for me. This model holds that human connection and attachment, love, and a sense of belonging are central motivating forces in human behavior. (7) I also came to believe that people try to organize their experience as best as they can into central guiding thoughts. (8) These guiding thoughts, beliefs, or expectations help the person encode the massive amounts information that needs to be processed and understood in daily interaction. I came to conceptualize treatment as a relationship context for the patient that offers empathy and support in which the patient can explore who he or she is, reintegrate and work through the patient’s traumatic experiences that are enacted in the treatment, and blossom. Traditionally in most psychoanalytic writing there exists a view of the analyst as mostly above and untouched by the process. In this view the therapist’s personal feelings and thoughts are hidden so as not to impact the therapy through influencing the treatment with the therapist’s own personal experience. Yet this is, many times, impossible because the patient is keenly attuned to the therapist’s verbal and nonverbal responses. This is especially true of trauma survivors who have had to survive by hyper-vigilantly monitoring the environment and other people’s emotional states and intents as a way to survive realistically dangerous people in threatening situations. Most recently my theoretical approach has become intertwined with the more contemporary views of psychoanalytic thought, which include the importance of context(9), a humanistic view of the whole person as evidenced in both self psychology and intersubjectivity theory, and understanding of the interactive nature of relationships and bonding as evidenced in infant research literature(10). All these beliefs have resulted in my development along the lines of a model of individual treatment where the two people interact embedded in larger context. During psychotherapy, there are two people in the room, each bringing his or her histories, emotions, and traumas. (11) Winnicott, (1947/1958), one of my psychoanalytic heroes, wrote about how the therapist’s own needs and feelings powerfully affect the treatment process. He understood how the feelings of the patient can trigger the therapist’s core issues and how interaction can influence the treatment process. Winnicott warns us that if we do not pay attention to this phenomenon, there is a risk that the therapist will dominate the treatment with his or her own needs and fail to address the patient’s needs. 2. The creation of a corrective emotional experience and democratic atmosphere where empathy prevails. At the same time this openness advocated by Ferenczi needs limits and boundaries. In my own personal treatment, confusion of boundaries was a repetitive problem. This is why I do not recommend giving up all boundaries. Nor am I suggesting rampant self-disclosure. I believe that balanced boundaries, with decisions made based on what is optimal for the patient and, at same time, tolerable for the therapist, are crucial. Boundaries should help protect the patient from being exploited by the therapist by clearly delineating acceptable behavior. Yet these boundaries need to be loose enough to allow creativity in promoting deep emotional engagement. At the same time the therapist needs to be protected from being engulfed by the patient’s needs by ritualizing the patient’s access to the therapist, and yet keeping clearly in the therapist’s mind that the patient’s needs take precedence. Stephen Mitchell (1997) highlights the power of the analyst or psychotherapist to influence the patient and how embedded the patient and the therapist both are in the relationship. He also indicates that the narrative of the patient’s life and experience is developed in treatment, is co-created and mutually influenced, and that the analyst is not the holder of “objective truth.” However, I believe that there is a reality out there and that no one has special access to what that reality is. It is a shared struggle for the patient and therapist to come to a deeper understanding of what might be going on between them and in the patient’s life. The therapist must remain aware of the importance of who defines the narrative or story of psychotherapy and the impact of this story on both the patient and analyst. Often, with or without awareness, the therapist, with his or her inherent power, can easily override the patient’s ideas, thoughts, and feelings in treatment and in the presentation of treatment. To be aware of how our needs and biases are influencing the therapy, we need to listen to our patients carefully, and track our own responses vigilantly. My book, The therapist’s emotional survival: Dealing with the pain of exploring trauma (1999), describes how the triggering of the therapist’s own anxiety, hate and other feelings can prevent the therapist from fully being present for the patient. When the therapist’s own issues, feelings, and traumas are triggered by the patient’s material, he or she may break the connection to the patient’s experience to avoid pain. I opened up my thoughts, needs, and experiences as a therapist to illustrate the complexity of the therapist’s experience in treatment. Even though the model in the book was tailored to traumatized patients, it carries within it my basic overall theory and a conceptual treatment plan for most patients. In it I have distilled two stages of treatment. The first stage in my model is concerned with issues of safety, emotional containment, and feeling heard (validation through mirroring). This needs to be dealt with initially for a successful treatment process to be set on course. These patients are usually asking in many ways, “Can I exist and live a life?” The first stage includes a focus on the patient’s fear and need for self-protection, highlights the importance of helping the patient be aware and take control over his or her own physical and emotional needs (self-regulation), and highlights the patient’s need to be heard and acknowledged as a person. Successfully working through some layers of these issues helps mobilize a positive and containing maternal transference, which is necessary for a constructive deeper process of the second stage. Here the patient needs a deep, close experience of the therapist as a good containing other, and even a sense of positive merger or connection. In traditional analytic literature this transference has been called a “preoedipal transference.” In self psychology it has been referred to as a “selfobject,” “merger,” “idealizing,” or “mirroring” transference. The second stage of treatment focuses on such deeper issues as: “Am I lovable?”, exploring each person’s need for deep maternal love and bonding; “Can you see me?”, exploring each person’s discontinuous and shattered experiences as a result of trauma; “Who is bad and who is the abuser?”, exploring how each of us locks into dramas and roles in relationships which repeat past experiences; and “Is this my body?”, exploring the importance of our bodies and physical touch in relationships. My experiences with my patients and my own treatment constantly reshape my theoretical orientation. This is part of what keeps me alive as a therapist. (11) Intersubjectivity (e.g., Orange, Atwood, and Stolorow, 1997; Perlman, 1999b; Stolorow and Atwood, 1992), interpersonal psychology (e.g., Sullivan, 1953, Mitchell, 1997; Stern, 1997), and nonlinear dynamic systems theory (e.g., Shane, Shane, and Gales, 1997) are examples.